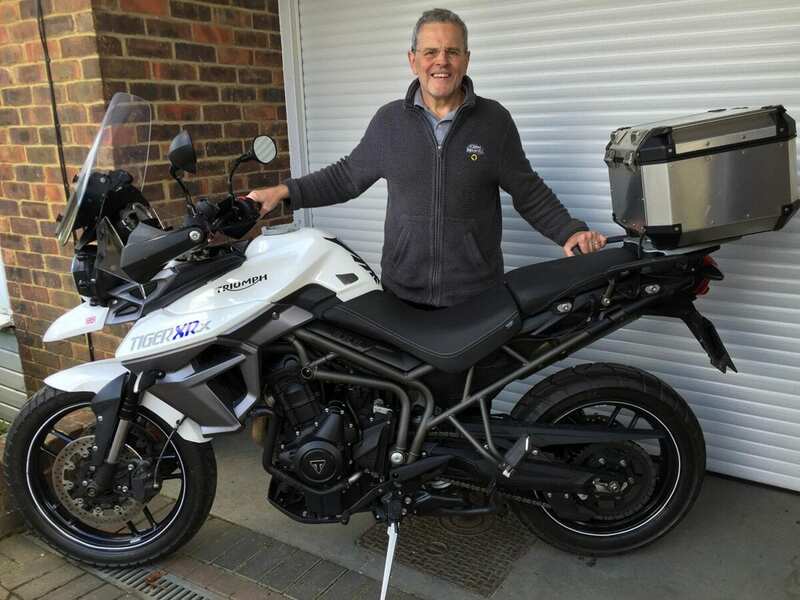 I bought my Tiger new for £10,485 from Palmers Triumph in Hemel Hempstead, and have put about 4500 mile on it since April last year – I had a couple of long trips planned and with a top box and Oxford waterproof roll bag the Triumph does the business. Now I use it at every possible opportunity. Before this I had a Triumph Street Triple R, which I was sad to see go. I did ride it to the Alps and back over five days but that was with just T-Shirts and a toothbrush. 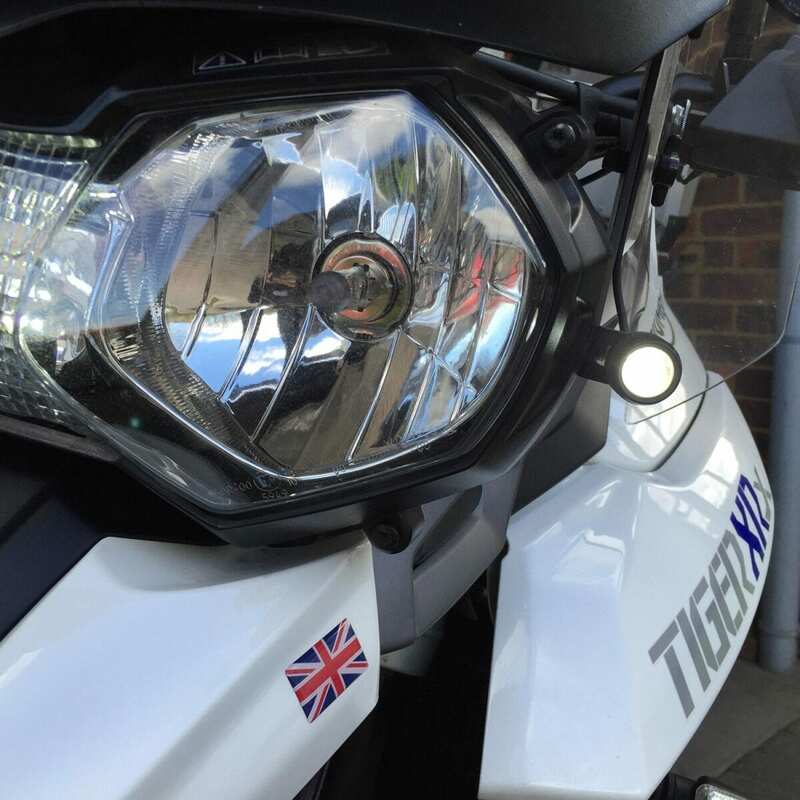 My longest trip with the Tiger so far was to Vienna, which was about 1400 miles over five days – we went via the Eurotunnel and rode to Dusseldorf, where we took the overnight train to Vienna. We did this to avoid hotel costs and wear and tear on our bikes. 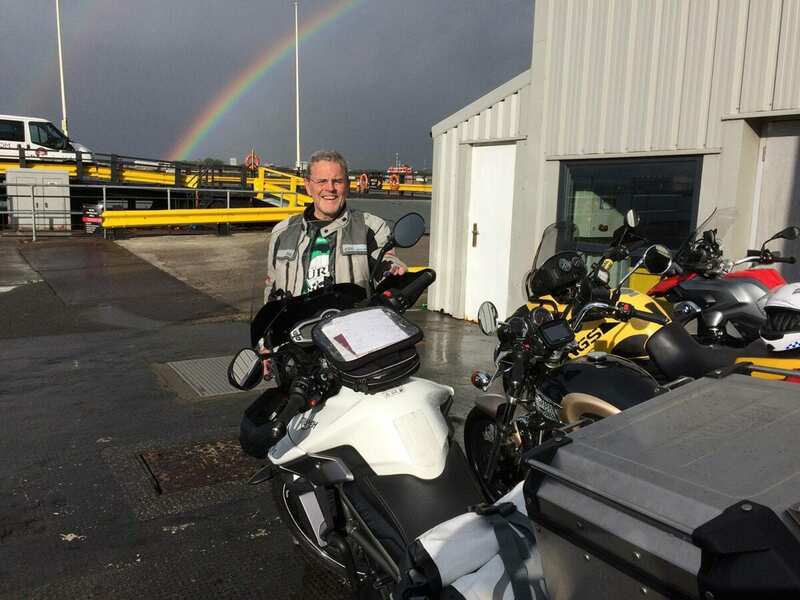 In hindsight spending time with five other bikers in a six-berth couchette was quite an experience – we could not leave any loose luggage on our bikes, so fitting helmets, luggage and people in was testing. The bike is so easy to ride, has all the extras I could realistically use and is fairly quick and economical. The top-box has space for my helmet, and I’ve rigged up a charging point so my Sena10C can be charged while inside. I test rode it when it was released back in 2010, and for a bike I wanted to cover serious miles on, the wind noise/buffeting was not acceptable. When the XRx was announced in 2015, I took another couple of tests. I tried both Triumph screens and although they look the part, the noise was still unacceptable. 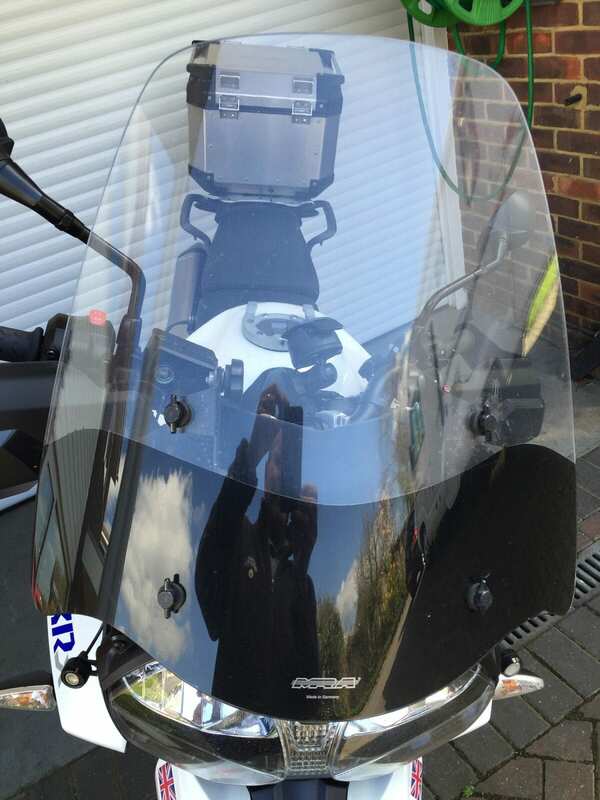 A lot of other riders rated the Madstad screen, so I finally bit the bullet and ordered a new Tiger 800 XRx and found a Madstad screen on eBay for just over £100. What a difference! I use a Schuberth C3Pro helmet and on long runs had been using earplugs, but I now find I can ride long distances without them. I do wish it were a little lighter – pushing it up my driveway is getting tough for an old guy like me. Also, as I virtually never go off-road, I’d really prefer some more road-based wheels and tyres. Cleaning the bike is quite a chore, with many parts of the engine difficult to get to – I use various products to try to keep the black in good condition, but some parts need constant attention. Besides changing the screen, I’ve fitted some small LED lights at the front to make the bike more visible, a lower seat (I’m 5ft 7in) and an Arrow slip-on silencer with a home-modified baffle; with the baffle in, it’s very quiet, but with it out it’s too boomy for long distances. 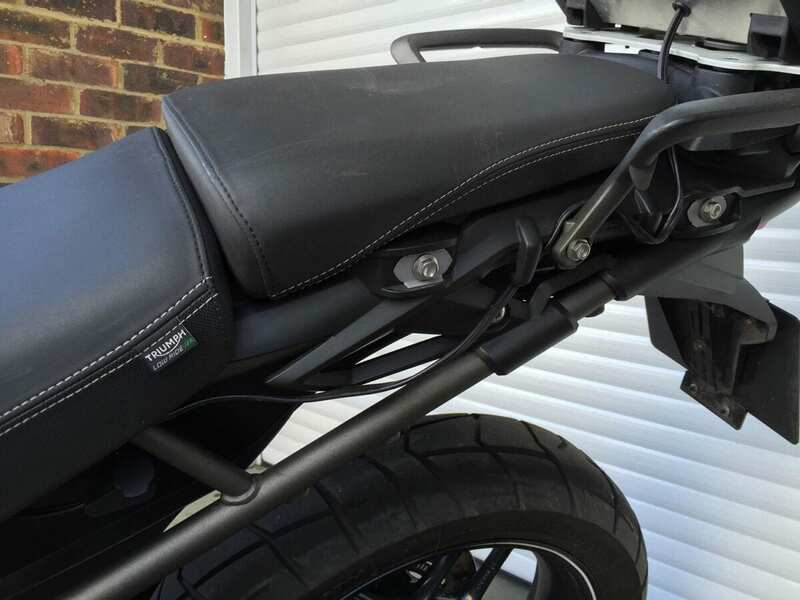 I’ve also bolted on a radiator guard, Expedition aluminium top box, high-level front mudguard (without this it looks a bit naff), heated grips, machined levers and a TomTom Rider 400. I might still buy some bar risers to bring them closer to me, and I may invest in mods to the suspension. Perhaps I’m expecting too much from a bike like this, but my Street Triple R was so planted it inspired confidence. The engine is very smooth and fuelling is perfect. It starts first time, occasionally with some rattling until the oil gets around the engine. I’d say the brakes are quite adequate. I’ve never noticed the ABS come on, and they’re probably not as powerful as some sports bikes I’ve ridden, but for a machine with the suspension travel this has, I guess it works fine. A cable provides power to the inside of the top-box for charging Chris’ intercom. I like the controls – the cruise control works quite intuitively and I don’t think I’ve ever switched it off, so it’s ready to use whenever. The menu structure is simple when you understand the way it works, so it’s easy to change to KPH when crossing the channel. You can never have too many bikes, so if something comes along that appeals, I may take a look. 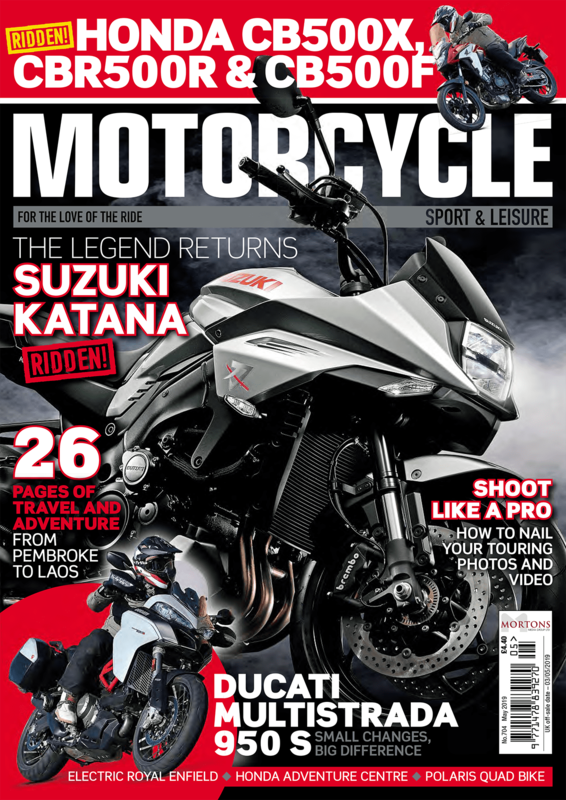 If I replaced it, well, I had a Ducati Multistrada 1200 three years ago – when it was running it was fantastic, but I had so many problems. I was close to buying the BMW XR1000 last year, but it wouldn’t have been available in time for the Austria Trip. Now though, I think I would consider a Multistrada again over the BMW as it handled like a sports bike, yet was comfortable all day in the saddle. General impressions: Easy going, with enough performance and comfort for use all year on the road in all weathers.